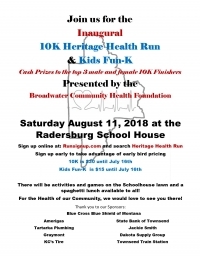 We are hosting our first annual Heritage Health Run in Radersburg on August 11th. The run is to help support the Broadwater Community Health center as well as some of the health needs within our community! 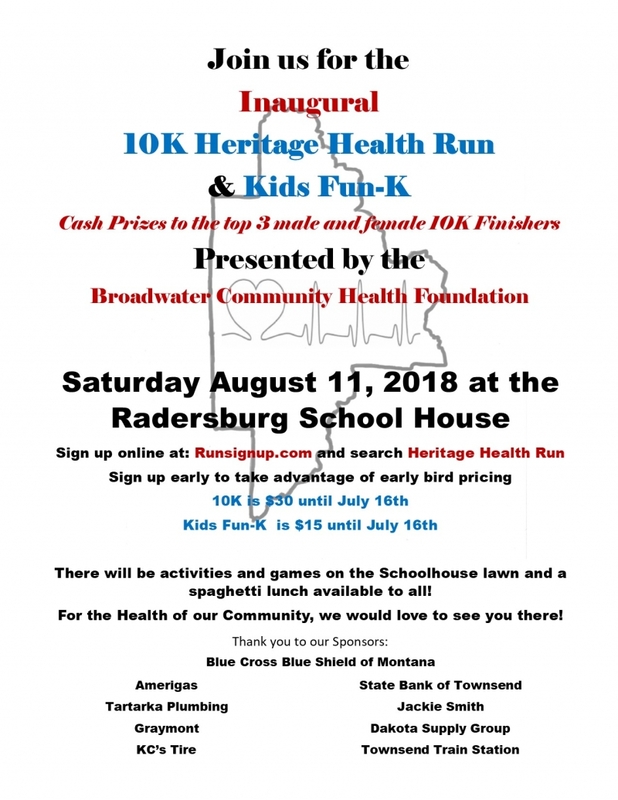 There will be a 10K and Kids "Fun-K" as well as a spaghetti feed and games on the lawn of the Radersburg Schoolhouse! Top 3 Male and Female 10k Finishers will receive cash prizes! Sign up before July 16 to get the best deal on pricing!